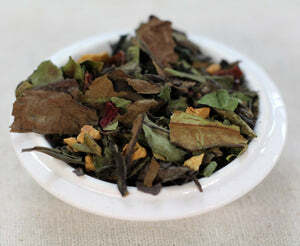 Ingredients: Organic white tea (White Peony), organic apple, organic hibiscus, organic raspberry, natural raspberry flavoring, organic rosehips. 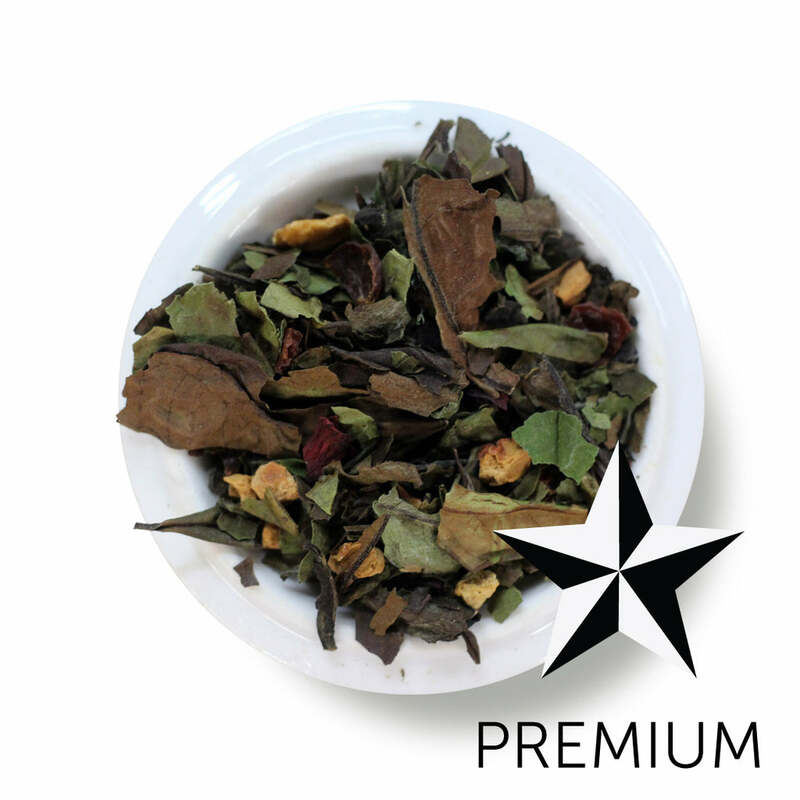 Delicious raspberry notes punctuate this smooth white tea. White Peony, or bai mu dan, is made of the top shoot and the two leaves directly below, make it a slightly earthier and deeper flavor. 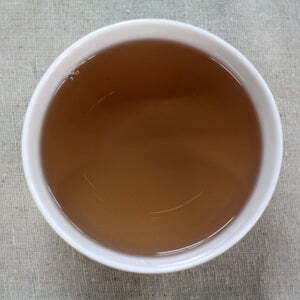 The bud and leaves are sun withered, and then piled briefly to get oxidation and enzymes activated to enhance the aroma and flavor of the tea. You can enjoy this tea at a lower temperature (170º), but we enjoy the deeper flavors of the tea brought out by the higher heat. Mug (8oz water):3 level tsp • 185º • Steep for 3 min. Teapot: (8oz water): 3 level tsp • 185º • Steep for 2 min.